Africa humbles even the most jaded of travellers catering wonders that do not exist on any other continent in the world: clean and pristine wild nature and astounding diversity of animals which you have previously seen in Discovery programs only. So no wonder that new national parks and nature and game reserves sprout like mushrooms after the summer rains, now there are about 350 of them on the continent. Each of them is special and exciting, and we would like to tell you about the most special ones. Serengeti National Park, Tanzania, is one of the oldest and most popular reserves in Africa. It encompasses almost 15 thousand square kilometres and is one of the most pristine ecosystems on the planet. Here you can see a time-honoured pilgrimage that is one of Africa's greatest spectacles: the Great Migration of vast herds of ungulates: wildebeests, zebras, gazelles, etc. No wonder the name of the park in the Maasai language means "the place where the land runs on forever". 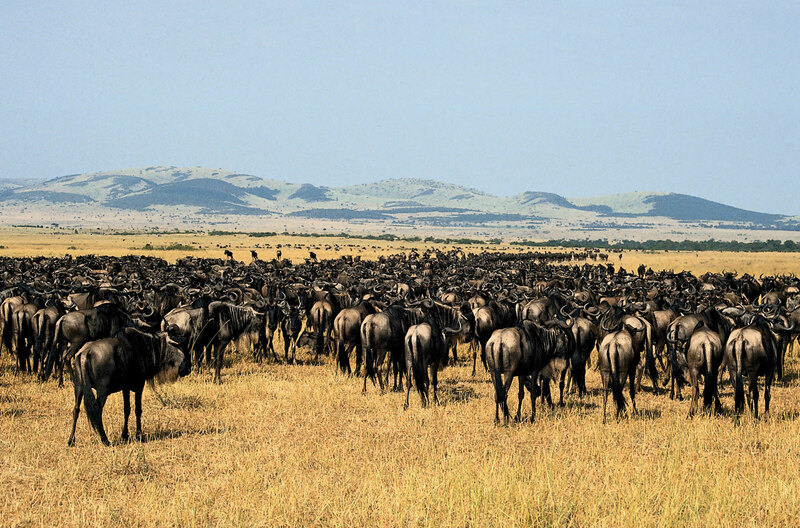 The Great Migration, stretching for a thousand kilometres, makes its way through the mottled plains where the earth merges with the horizon, and the world takes on its original shape. Unspoilt, untouched nature, along with the cruel survival laws of the predator-versus-prey cycle of life, can completely invert your consciousness, sweeping away all the excess, leaving only an unforgettable delight from surrounding raw nature. This unique nature reserve could easily win in the nomination The most beautiful sunsets in Africa. Let's start with the fact that the park gained its poetic name thanks to the farmer J.N.R. van Reenen, who stopped here for the night with his wife back in 1879. He was fascinated by the views, when the rays of the setting sun cast the brilliant shades of gold on the sandstone cliffs and slopes of the Maluti Mountains. Sandstone formations, which shine golden-yellow in the evening sun and frame the valley, associated with golden gate for the romantic farmer. Brandwag rock stands out offering captivating scenery from any point. And at the rolling foothills of the golden evening peaks, another pacified picture catches an eye: antelope herds gazing on fresh brilliant evening meadows. This park is really perfect for an evening visit. That moment when white clouds are getting glowing pink and look similar to fresh marshmallows, and majestic expanses are sinking into the shadows dotted with mysterious silhouettes of the local inhabitants, is more than thrilling. Namaqualand National Park, which stretches along the western coast of South Africa, is known primarily for its diverse flora. On the vast expanses of the hot continent, this African garden of Eden blooms with thousands of colourful flowers, reviving everything around. Flowering season is extended for the period from August to October, and at this time a rather large park becomes crowded with tourists seeking to contemplate the local beauty first-hand. 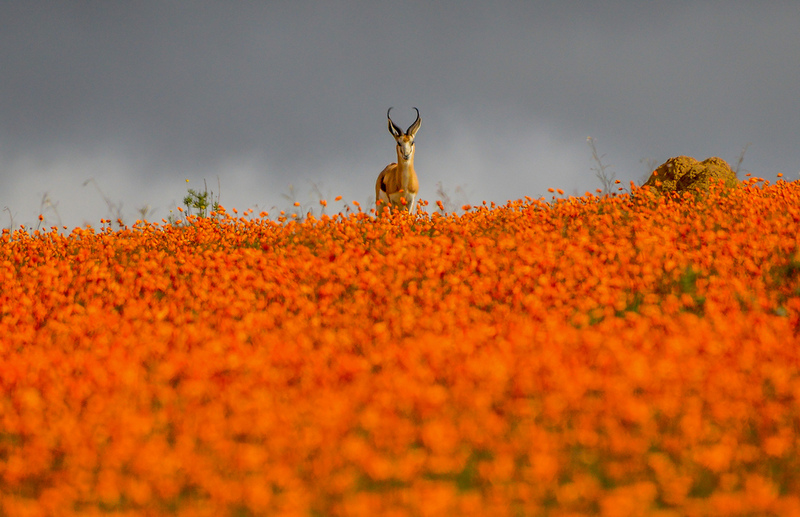 The largest animal that lives in this floral kingdom is an antelope, the majority local beasts are medium-sized. Visitors can go on exciting long trips by car or walking the 5-kilometer trail. Both options give an invaluable opportunity to immense into the world of nature and see magic flowers in all its scale at arm's length. Maasai Mara National Reserve is a neighbour of Serengeti mentioned above. It cannot compete with the rest in terms of the largest territory, but can easily beat any sibling with concentration of representatives of wild fauna! It is home to myriads of species of mammals and nearly five hundred species of birds. The dream of every wildlife enthusiast, throngs of wildlife such as elephants, leopards, hyenas, zebras, lions, rhinos - are generally found throughout the reserve. But the most favourite place of the inhabitants of the reserve is vicinity of the Mara River. Park has a solid relationship with the Serengeti: from mid-summer to mid-autumn wildebeest and zebras travel between here and the Serengeti plains. Really fascinating is a dazzling diversity of wild creatures that live their own lives and pay absolutely no attention to the crowds of wide-eyed tourists. Masai Mara from Shawn Landersz on Vimeo. Central Kalahari Game Reserve is located in the middle of the Kalahari Desert and spans almost 53 thousand square kilometres. Mentioning desert, our imagination usually pictures a lifeless and lonely landscape. 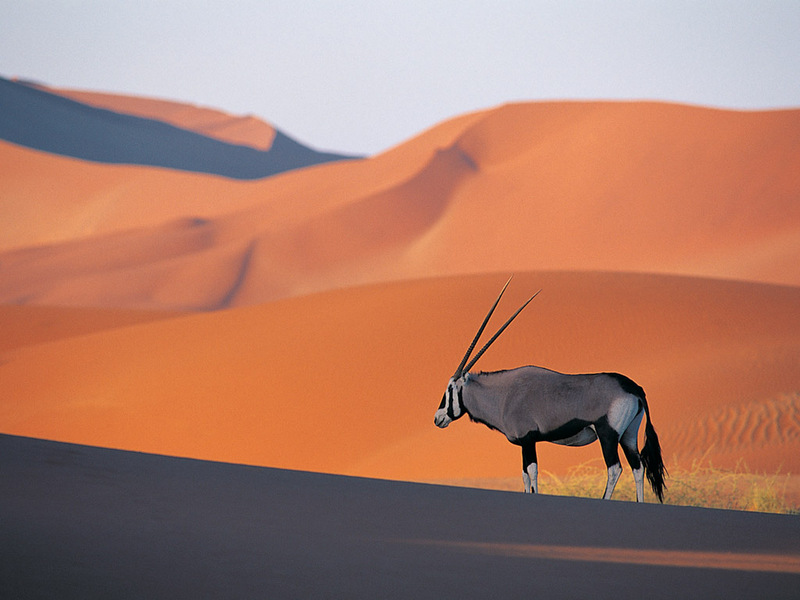 But the Kalahari area is quite suitable for life, the local fauna is rich both in rare and usual animals. Numerous desert oases with shadowy trees are a sanctuary for proud giraffes, lions, leopards and hyenas. The fabled lands of Kalahari are a mysterious place, which is dubbed Phantom Valley by local residents. It stretches for tens of kilometres along the nature reserve and is an ancient dried-up river bed. If you are lucky, you can see a searing mirage of a boundless lake, the water in which is tempting sparkling under the scotching sun. For active visitors there are safari tours in open-top jeep, a variety of walking tours and night walks in the desert. All the trips are led by professional guides - people from the local tribes, who know the terrain like the back of their fingers.